I wrote this post when I first started out as a blogger and its message is worth repeating. Illiteracy is the source of so much that is wrong with our society and there is no better revenge than creating a world of readers. This post is my advice on how to create the a love of reading with children and includes an update with a few of the newest authors. So Black Friday has come and gone and already I have noticed the barrage of advertisements hitting the public. The biggest target is our children. I watched my grandson browse through the newspaper ads full of the latest toys, pointing at almost every single picture saying, “I want that..and that…and that.” It reminded me of how materialistic and fad driven we have become. I too, recall doing the very same thing when I was a child and in many ways it was successful as it helped my parents know what I wanted for Christmas. Now, many Christmases have come and gone and I wonder what became of all of those toys. I out grew them, passed them along or somehow they got broken or damaged. Today, there is almost no evidence of the gifts that were given to me when I was young…except books. I still have some of the books that were given to me by my grandmother. Books that remind me of how special she was for showing me a world beyond my own. It is my hope that among the gifts that you give your children that you remember to give them books. Books provide pleasure and expand our creativity and knowledge about the world we live in. It is through the love of reading that we create the future. Children who embrace reading have greater choice with what they want to do in life. I was once asked what are the best books for children? The best books for children are those books that create future interest in reading. A really good book might even cause parents some frustration when trying to get a child to do household chores. Not surprisingly, the best critics of good books are children. The best books are the ones that children tell their friends about. They will usually be the ones that are most worn and may even have dog-eared corners. When Harry Potter came out their was a sudden surge in readers. Even those who normally would not consider themselves avid readers bought and read the series. Younger readers were so interested in the story that they did not get overly challenged at the higher vocabulary. Another sign of a good book is the outward expression of a child reading a book. There is nothing more delightful than hearing a child suddenly laugh in an otherwise quiet room. Instantly others will look up, trying to discover what book was good enough to make someone laugh out loud. A child might originate that a particular book was really sad and then tell their friend it was a really good book…but a bit sad at the end. Children are extremely interested in life and adventure, the more of it, the better. There are so many excellent books available for children that it’s hard to list just a few. On the other hand there are lots of mediocre books as well and some that are just awful. Some books are inane and others (even popular ones) tend to bring out the worst manners and behavior that if mimicked by your child, might get them into trouble. While others can encourage cruelty and dishonesty. The best way to discover which books are good and which aren’t is to take a few minutes to quickly read the book before buying it. Reading a few pages of any chapter in longer books will give you an idea of its general tone. Some of the best books for pre-readers are those that have simple vocabulary with very good illustrations. Goodnight Moon, If You Give A Mouse A Cookie, Just Me And My Dad are some good examples. Being very expressive while you read will help to maintain interest and getting them to talk about the pictures keeps it interactive. As they are beginning to read, ease of vocabulary and repetition are important. Dr. Seuss books and books such as Go, Dog, Go by P.D. Eastman are perfect for this next step. 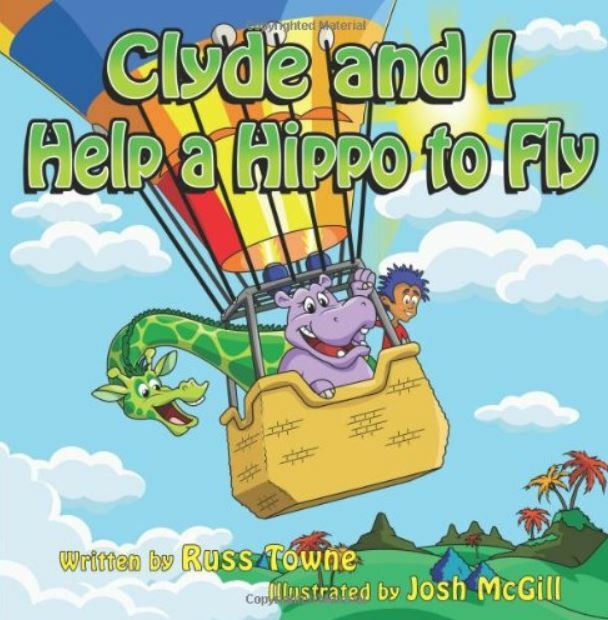 A new author, Russ Towne has captured the spirit of Seuss with a series called Clyde and I and my favorite…The Duck Who Flew Upside Down. As children get older story content will be the driving factor in reading. 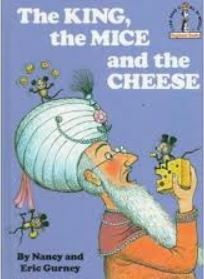 Books like, The King, The Mice And The Cheese, Sam And The Firefly and Danny And The Dinosaur are all childhood favorites. The next step will be their first series books such Frog and Toad or Little Bear. Vocabulary is developed gradually and one series that is great for learning and differentiating homonyms is Amelia Bedelia. Although it is most effective to have a short discussion about this before introducing this series. Beginning history can be very interesting as well. Some of the favorites are Chang’s Paper Pony, Dust For Dinner, Wagon Wheels, Sam The Minuteman, George The Drummer Boy and The Long Way To A New Land. Another series by Landmark Books, originally published by Random House is all about important people and times in history including the presidents, Ben Franklin and Thomas Edison. This has a slightly higher vocabulary but it’s an excellent series. Another great new addition is Sarah Gives Thanks by Mike Allegra…a recent popular hit all about how Thanksgiving became a holiday. But don’t make the mistake of thinking children only read seasonal books once a year. By the end of 3rd and beginning of 4th grades, children enjoy reading chapter books and many of these come in a series. 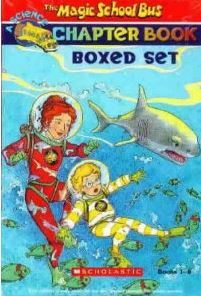 Long time favorites are The Box Car Children, Mrs Piggle Wiggle and Beverly Cleary. If your child likes mysteries they may enjoy the Encyclopedia Brown series or From The Mixed Up Files of Mrs. Basil E. Frankweiler. Some great historical series include The Little House and American Girl series. And for those fantasy buffs try the Harry Potter series or Phantom Tollbooth. As children progress, there is an important factor that can vary your child’s success in reading. It is so important that ignoring it could mean that even a very good book could be overlooked. A child who does not like to read has hit a point in their reading where there is too much new vocabulary being introduced. 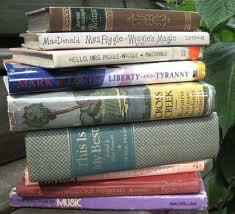 The remedy is simple, pick slightly easier books and let them read more of them. Do not try to force a higher level than what your child is naturally interested in and try to avoid competition against another reader. This can create losses or the feeling of inadequacy and can result in your child shifting their focus towards status rather than comprehension and enjoyment. Rereading books again and again is just fine and should not be discouraged. Love of reading, keeping it pleasurable and honest comprehension are the qualities that will keep children interested in reading and looking forward to that next. What was your favorite book as a child? Have you shared it with another child? Okay, my final plug…this Christmas…don’t forget to include a few books under the tree. Almost all the books mentioned above are available through Amazon. Both my parents were readers and so am I. Parents should set the example. A friend of mine calls reading, “going on an adventure.” and she’s right! And, sometimes it is literally…an adventure!. When I was pregnant with my daughter, my Volkswagen broke down. Funds were tight but I had lots of time. I am not a motor-head and the most that I’d done is change the oil but I decided to rebuild the engine. I had a good mentor, the Idiot’s Guide and the shop manual. I also am an organized person and laid all the parts out in the order I took them off. It only go tricky at one point when I didn’t understand something, I had to call my husband to ask what a rod was as it turns out, I threw a rod. Once I found the picture…I was off and running. I still feel the joy of cranking the car over and hearing her catch! I never would have been able to do that if I hadn’t learned to read. Thanks for the recommendations. Our grandsons will benefit from your advice! Even as a child, if given the choice between a book and a toy, I usually would take the book. Reading was such fun for me, even text books that most kids hate! When it comes to giving gifts to children, if there’s any way I can avoid the toys and go for the books, I’m happy! Terrific post. We had a discussion recently with a nephew about how to instill reading in his young son. I think he ought to appreciate the suggestions here. I will send him the link.